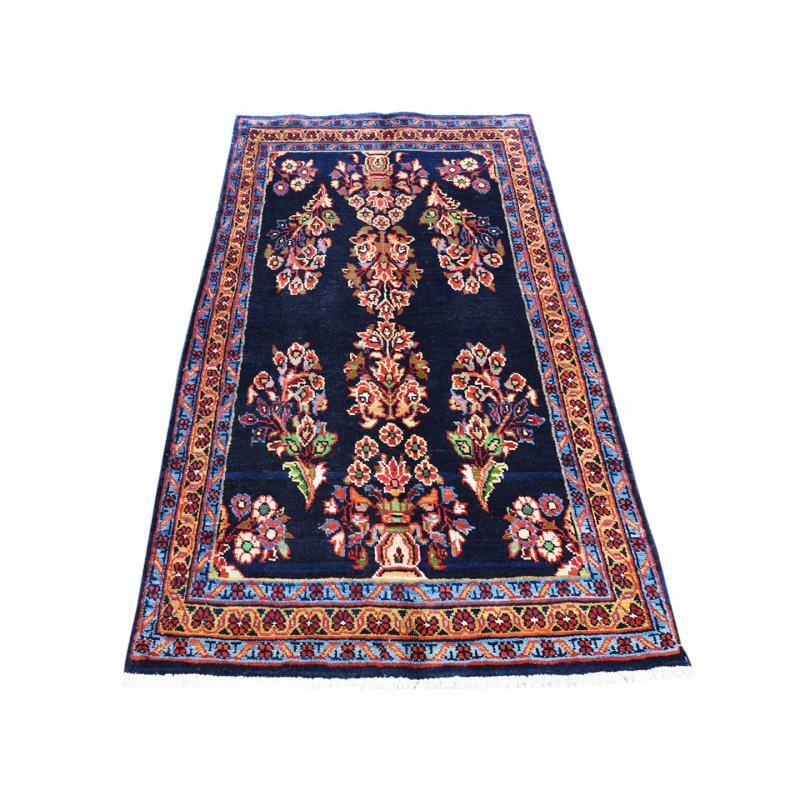 Add an interesting element to your living area flooring by decorating it with this Traditional Persian Hamadan rug. 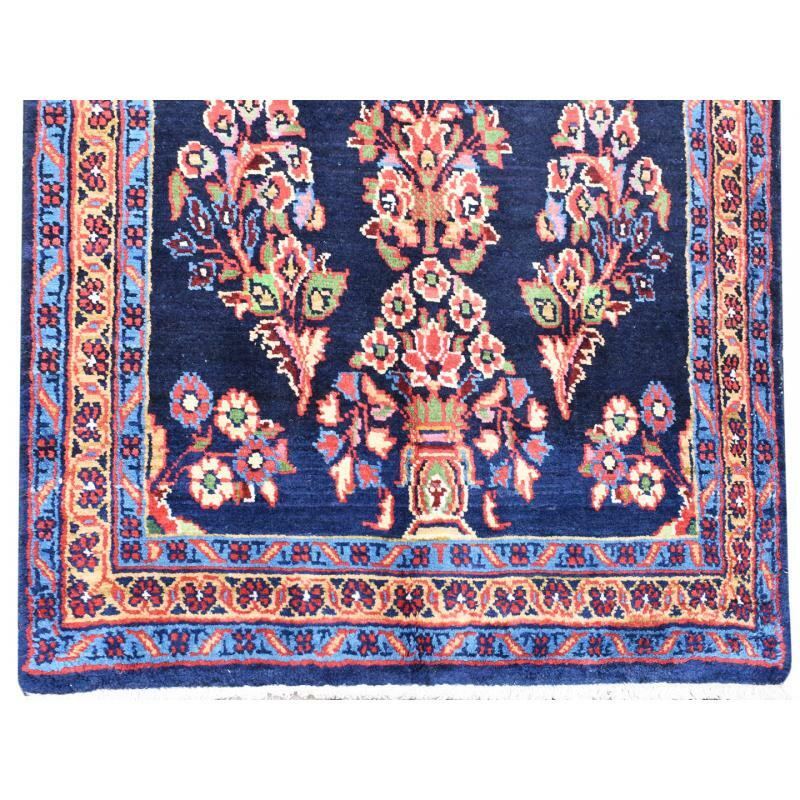 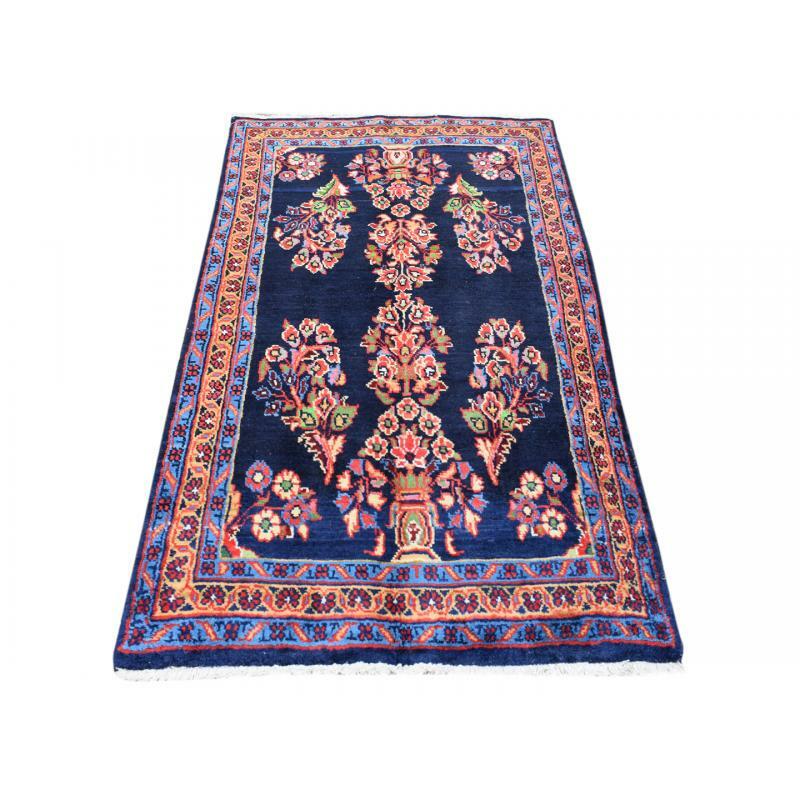 Handmade, hand knotted rug from high quality wool, this beautiful and unique designed blue and multi floor covering has a soft touch and feel. 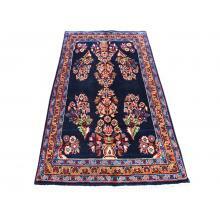 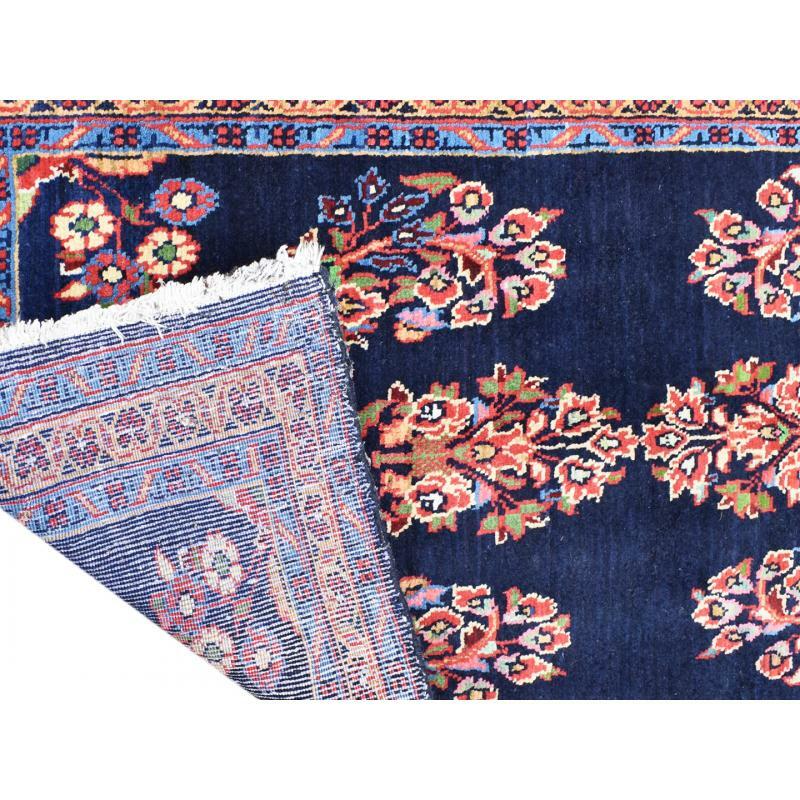 Sized at 2.8 X 5 ft. the patchwork and unique Multi Flower Vase design pattern of this rug is as striking as it is sensible.